Last week the weather was typical of this time of year, wet, windy and gloomy so Peter and I decided to head for the coast. We had been inspired by the stunning abstract images produced by Jan van der Greef so now seemed the perfect opprtunity to try for ourselves. Armed with warm clothing, a camera, tripod and several filters we arrived on the beach just as high tide was at its peak. 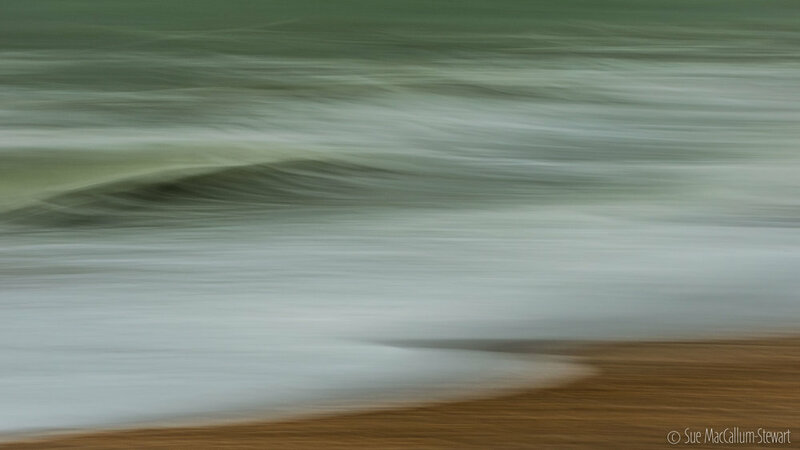 I had decided that I was going to take wonderful, soft blurry waves.... hmmm, nothing is ever that simple!! The waves wouldn't break as I wanted, the lens was constantly covered in spray and the first 100 images or so were either overexposed, underexposod or just plain poor. After a couple of hours however we both said that we had had a great time and believed that we had taken some images that we would be pleased with. We headed home with massive smiles on our faces and wanting to have another go.